"Why did you want to join?" Meet other local Humanists, people who believe in the basic goodness of the human spirit without supernaturalism. 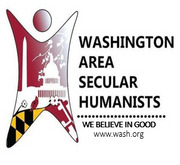 The Washington Area Secular Humanists (WASH) was incorporated in 1989 as a nonprofit 501(c)(3) educational organization in Maryland. Our purpose is to promote scientific literacy and critical thinking, to provide a forum for humanists and others to explore humanist principles and how they relate to all aspects of human experience, and to study the significance of humanism throughout history. 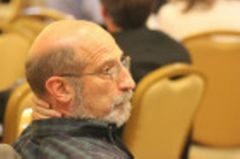 Secular humanists are distinguished by an emphasis on scientific methods of knowing, separation of church and state, and a commitment to the pursuit of humanist goals outside religious frameworks. WASH has 11 active Chapters from Roanoke, VA to Baltimore, MD. While being a member of the WASH meetup group is free please consider joining as a member of WASH to help support our activities. 12,521 DC Professionals - New in Town!